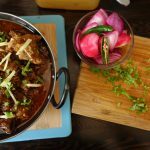 For all my meat loving friends, this mutton curry recipe is for you . 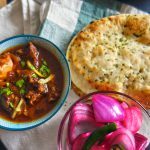 Really Really simple recipe, bursting with beautiful Indian flavours. This has been my favourite since childhood! !This one is my naani’s (grandma’s) recipe passed on to my mum and now I cook it the same way, and with same ingredients.The mutton when perfectly cooked, immersed in the beautiful spices, just melts in your mouth.In India we usually have it with freshly baked tandoori roti’s (clay oven baked flat breads), and it is a great combination.You can have it with Roti’s/ naan bread/ paranthas and even rice. Club it with pickled onion salad and you are ready to roll. This recipe is very similar to my Chicken curry recipe and most of the ingredients are same.This just needs a few more dry spices to enhance the mutton flavour, and of course this needs much longer to cook than the chicken.To get the best taste and texture, mutton needs to be cooked really slow, and for a good amount of time.The mutton can be from a sheep, or from goat, but traditionally the one we use in India is goats mutton, and to enjoy the rich taste of mutton cook it nice and slow on low flame. 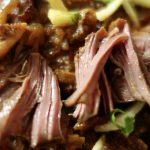 The quality of mutton and how you cook it, make a huge difference to the way it finally tastes.Always try and use fresh mutton.In India you can easily get fresh mutton, but here in UK, you do not get goats meat easily in the super markets, or even local markets. I have always bought it from the local Asian stores, and it is really good quality.Also another important ingredient is the mutton curry powder. This can be easily made at home and stored for few months.I have tried making it at home, and it is better than any store bought curry powder. But if home made is not available, you can use the MDH mutton curry powder. This is available in the asian stores. 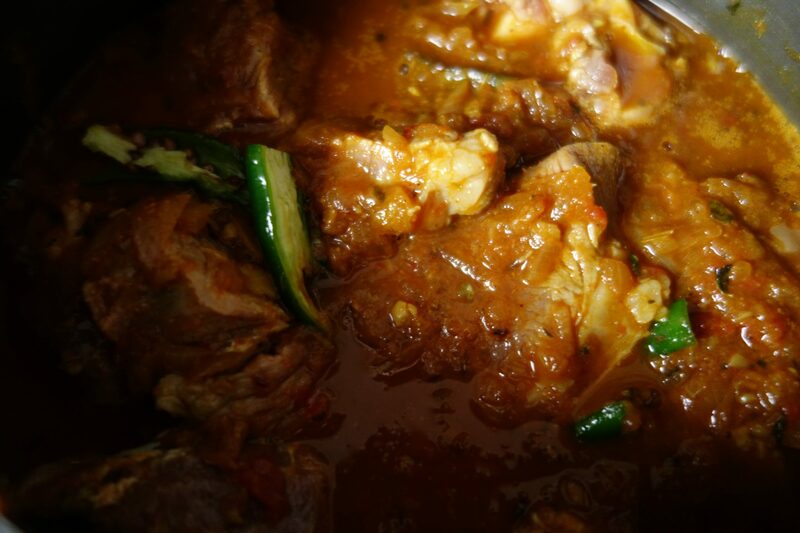 The Main ingredient you need are Mutton,Onion, tomatoes, ginger, garlic, green chillies, dry spices/herbs-degi mirchi, turmeric powder, red chilli powder,kasoori methi ,garam masala, whole dry spices-bay leaf, few cardamom pods, few whole black pepper ,cloves, coriander seeds, cumin seeds, fennel seeds,cinnamon stick. Sauté all the whole spices in some ghee/ oil(Mustard oil is again a great alternative for this recipe) and add chopped ginger and garlic. You can use ginger garlic paste instead of fresh ginger and garlic. Add chopped onions. Sauté the onions nicely, till they are translucent, add degi mirchi, mix well and add mutton. Add a little water and pressure cook it for almost 25-30 minutes, on low heat.Once this is done, add the pureed tomato, mix well and add salt , red chilli powder ,turmeric powder, mutton curry powder and crushed Kasoori methi.Add water as per the desired consistency of the gravy, and again pressure cook on low heat for another 35-40 minutes. 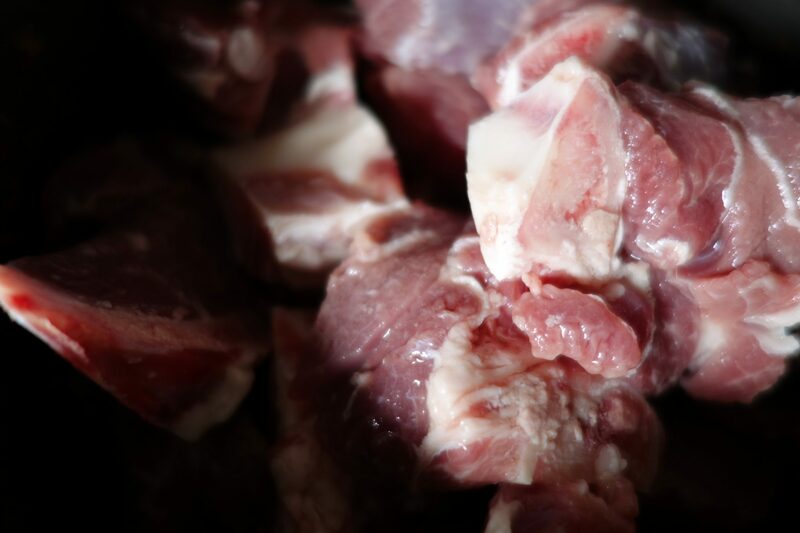 The best way to check if the mutton is cooked, is to pull apart one of the chunky mutton pieces with a fork.If it falls apart easily ,like in the below picture it is done. 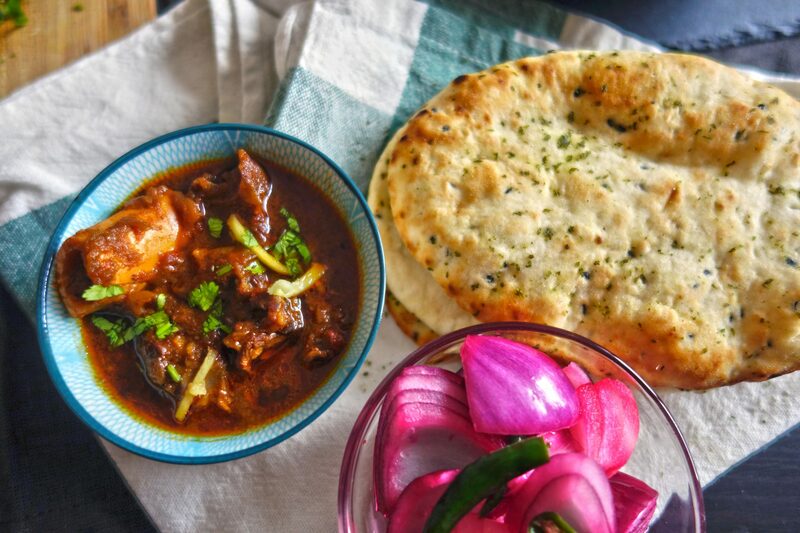 Garnish the curry with fresh slit ginger Juliennes, coriander and slit green chillies.Serve the hot curry with tandoori rotis, naan, Paranthas or rice.Don’t forget the onions! Can’t wait to try it!!! See the detailed recipe below. 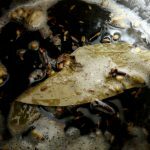 In a pressure cooker pan, heat ghee/oil. 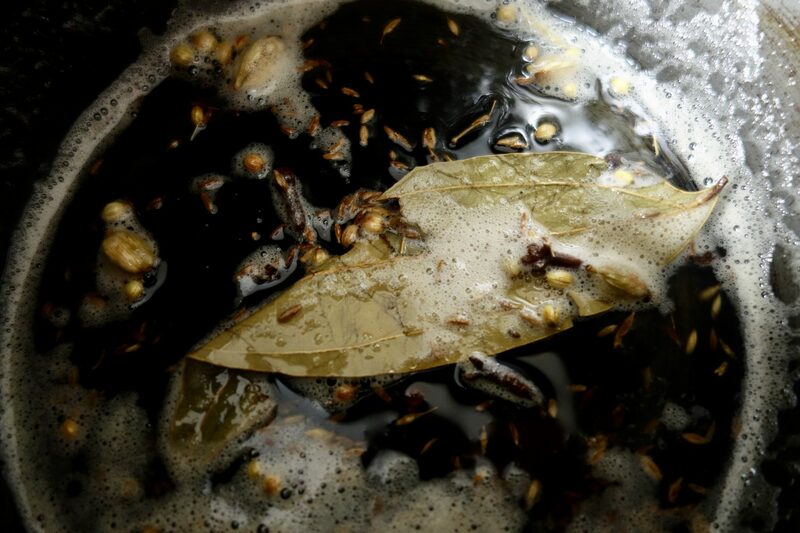 Add bay leaf, and rest of the whole spices- cumin seeds, fennel seeds, green cardamom pods, cinnamon stick, cloves, coriander seeds and black pepper pods . Saute for 3-4 minutes. Add ginger and garlic. Saute well, till the raw aroma of ginger garlic is gone and these start turning golden. Add chopped onions, and saute well ,till onions start turning translucent and nice colour of light gold. Add degi mirchi and mix well. Now add the mutton. Mix well with the onions. 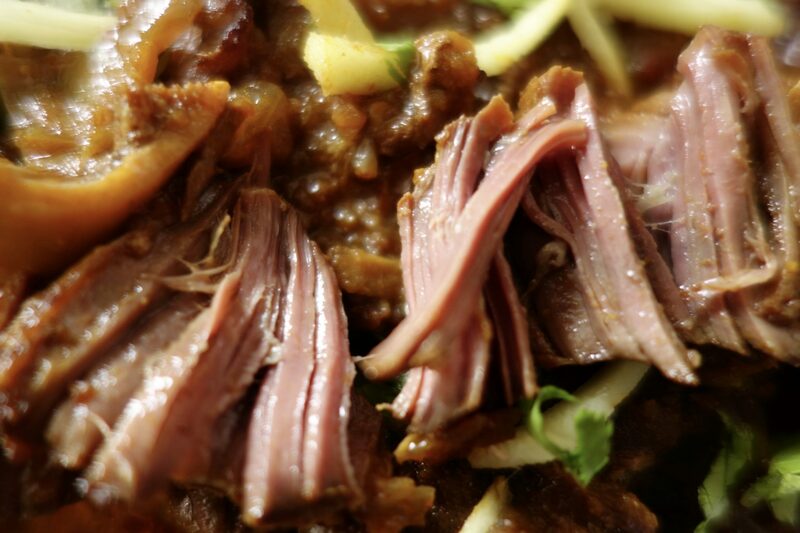 Add 1/2 cup water, and pressure cook mutton for a good 30 minutes on slow heat. 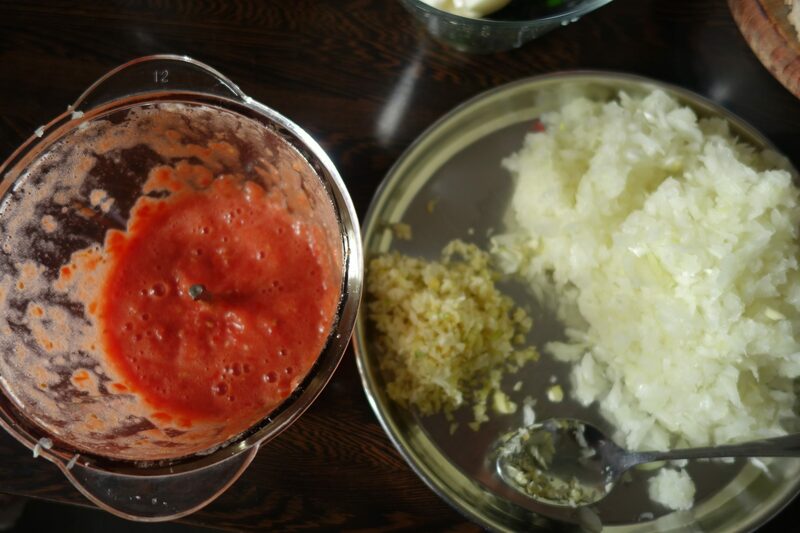 Once it is done, open the cooker and add pureed tomato .Saute it for 4-5 minutes. Now add Salt, red chilli powder and rest of the dry ingredients- turmeric powder, mutton curry powder and kasoori methi. Add 2 cups of water (less or more as per the gravy consistency you want), and again pressure cook on low heat for another 30 minutes. Once done, open the cooker and check if the mutton is properly cooked. Pull it apart with a fork, if it comes off easily like in the picture , it is done. Garnish it with ginger Julienne’s, slit green chillies and fresh coriander leaves. 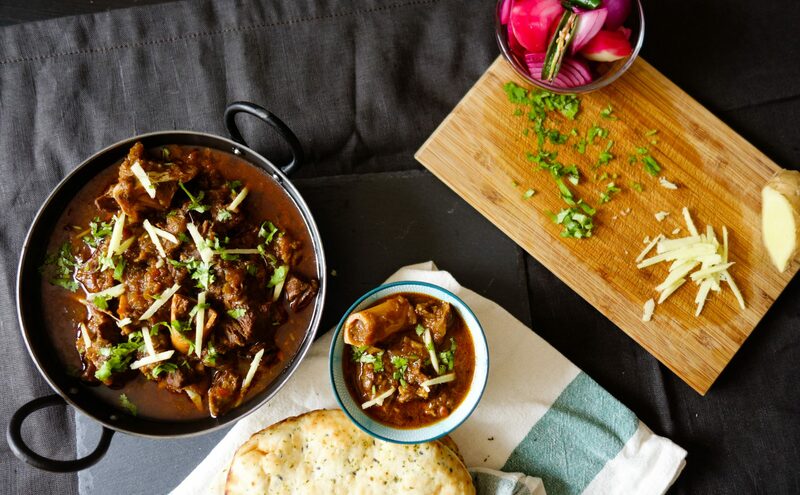 Serve it hot with Naan, roti , paranthas or rice.